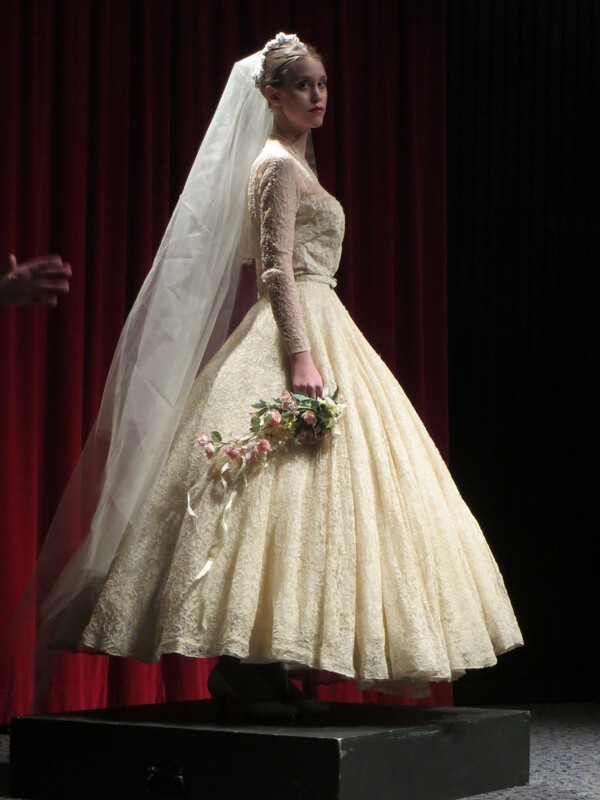 This wedding dress and bolero from 1953 is machine made re-embroidered cotton web lace over rayon net and taffeta. It is from Britain and was worn at the main synagogue in Johannesburg, South Africa. In the post war 1940s and early 1950s, lavish wedding dresses were a popular choice. Short coloured afternoon dresses were often worn for weddings during the war years so naturally more indulgent options were appealing when they became available.